Announcement Welcome to CRC Beads Shop. We also have a warehouse that's open to the public! 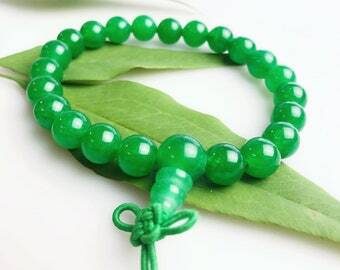 We offer high quality gemstone beads at a reasonable price for all your jewelry making needs. We carry many sizes, shapes and colors of your favorite beads! Items will be shipped within 1-2 days except weekends & holidays. If you have any questions, please don't hesitate to contact us either by sending an Etsy conversation or by email at info [!at] crcbeads.com. We will do our best to reply you as soon as possible. Pay securely with your credit/debit card, bank account transfer or eCheck through PayPal. You need to have a PayPal account to pay with your credit/debit card. Your 100% satisfaction is our goal! We offer 30 days no-questions return policy. If you don't like what you see, simply return it to us and we will refund your money! Your satisfaction is very important to us. Feel free to contact us with any questions or concerns using the "ask seller a question" or "contact seller" links. If a problem should arise, please don't leave negative feedback, contact us so we can resolve the issue. Welcome to CRC Beads Shop. We also have a warehouse that's open to the public! BEautiful! Great quality and at a great price. thank you! Lepidolite Smooth Gemstone Round Loose Beads Size 6mm/8mm/10mm Approximate 15.5 Inches per Strand. Some of the bracelets we offer! Inside our warehouse, open to the public! Supplies jewelry making supplies and finished jewelry products.